Novotel Singapore on Stevens is about 3 min from Orchard Road, Asia's famous entertainment and shopping belt. Explore Singapore with convenient public transport, including a bus stop right at the hotel doorstep and Stevens and Orchard MRT subway stations close by. Start your Singapore adventures by visiting Singapore Botanic Gardens, a UNESCO Heritage Site, as well as cultural districts of Chinatown and Little India. 20% discount on F&B (soft beverages) for all in-house guests at hotel outlets. 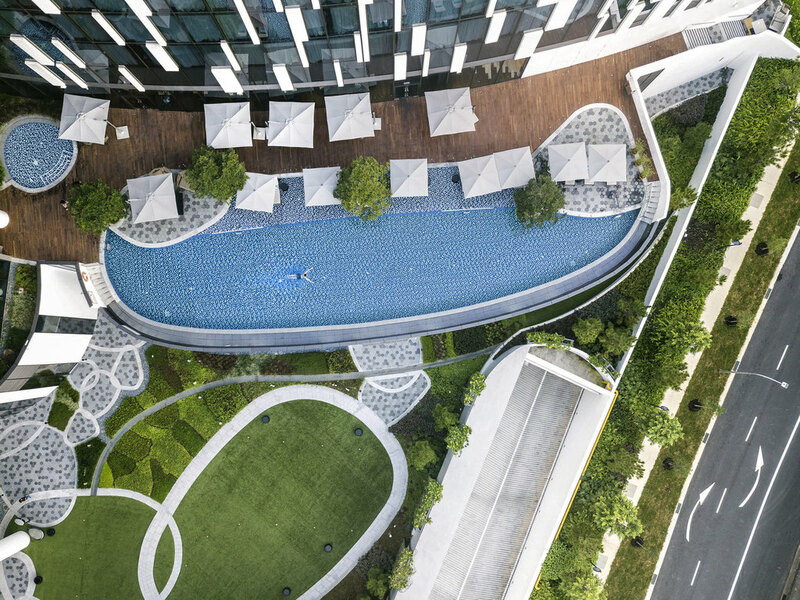 Prime city centre location, near Orchard Road and UNESCO Site, Singapore Botanic Gardens. Unlimited high-speed internet access on multiple devices. 24 room service, gym and laundromat. Large infinity pool, lap pool, and four dining outlets. Free parking during lunch and dinner. Overnight parking for hotel guests. Food Exchange features Thai, Singaporean, Indian and European cuisine in live cooking stations where the chefs prepare the food right in front of you. The open, relaxed setting is open from 6.30am to 10.00pm, perfect for breakfast, lunch and dinner. L'Apéritif Tapas Bar serves French-inspired cocktails and European and Asian tapas. The ideal place to unwind with friends, or enjoy the wide selection of wines, craft beers and signature cocktails. The room & bathroom were clean. However, the electric water jug could not work properly. The button could not pop up automatically when the water boiled. Nice room where everything worked. Good pool and gym. Range of eating places. We had a wonderful stay. Thank you for attending all my requests. the hotel is good however, it is not near Mrt stations. It will be better if there is shuttle bus directly to Mrt stations daily. My team stayed for 7 nights at your hotel and I am very happy. First with the breakfast options. It's quite good and the service is amazing! Rayan and Elise really made me feel at home and would go the extra mile of checking how's our stay and if we need anything. The person at the egg counter is also very nice and helpful. Overall me and my team enjoyed our stay at the hotel! A comfortable room and bed with good facilities. Our stay was a brief one night stay in between a long flight. We appreciated a quiet rest and a chance to refresh. Smooth check in and check out. The people are friendly and helpful, concierge workers are efficient when helping us, appreciate it lots! Overall stay was quite good.Room was extremely clean and room size was fine.Breakfast buffet had lots of varieties and plus point was they had shuttle service every half hour which will drop you to the nearest mall and even pick you from there. I will recommend people to stay here and I hope to stay again in my next visit. Over all it was a great experience.. Was there to celebrate my husband's birthday and thank you for the delicious cake.. However it would have been better if we were not given a room which is all the way to the back which is stated before check in. Nonetheless, great job to all staff and see you all again during our next stay. Professional and helpfull. Mindblowing after some really bad experiences earlier the week ! Excellent. Your staff are a pleasure to be around. I should especially mention your team on the Executive floor who were extremely kind, charming and helpful in helping us book and set up our meeting room. Good job everyone! Clean, new hotel with good breakfast. Already a third time in this hotel and once again a positive stay. The mistake about customer information. Hello hotel, I had a great stay at your hotel. however, you have mistaken my information. I am Ms L. not Mr L..